I am sure that almost everyone has seen the YouTube clips of the police striking a woman on video while arresting her for suspicion of possession of alcohol by a minor on a New Jersey beach over the Memorial Day weekend. The police claim that the woman refused to identify herself. The police then attempted to arrest her for either underage possession of alcohol or for failing to properly identify herself, she resisted, and her resistance caused the police to use physical force to effectuate the arrest. The young woman claims that she did not do anything wrong, admits that she refused to provide her name, attempted to leave, tripped, and the police then tackled her and assaulted her. As with everything, there are two sides to every story, and the truth generally lies somewhere in between. The good news is that the police officers were wearing body cameras, so much of the interaction between the police and the young woman was recorded. 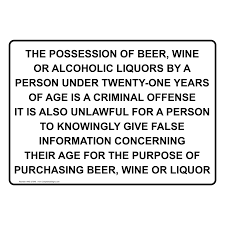 Was the Arrest for Underage Drinking Legal? When the police have reasonable suspicion to believe that a person is involved in criminal activity, the police are permitted to detain the person and investigate. The suspect is not free to leave, and the police can require the person to provide identifying information, such as name and date of birth. Pennsylvania courts have also held that a person does not have a 4th Amendment right in identification information, meaning the suspect must provide identifying information to the police. (See Commonwealth v. Campbell, 862 A.2d 659 (Pa. 2004)). If the person refuses to provide identifying information, then the police can take the person into custody until the person is identified. Here, the woman refused to provide her name, and it appears that she attempted to walk away from the police. By not providing information and by attempting to leave the investigative detention, the police had legal justification to arrest her. If a person tries to leave an investigative detention in Pennsylvania, the person could be charged with Escape. While Escape makes a person think of escape from prison or jail, the Escape law in Pennsylvania, found at 18 Pa.C.S.A. § 5121, actually prohibits a person from removing him or herself from “official detention,” and official detention includes “any other detention for law enforcement purposes,” which would mean an investigative detention. Excessive Force or Justified to Arrest? According to the police, the woman stopped walking away from the police, turned, and shoved or pushed the one officer. According to online newspaper articles, the officer’s bodycam video was turned off temporarily because of the woman’s push. After the woman used force, the police were permitted to use reasonable force to effectuate the arrest. The video shows that the officer struck or punched the woman two times. The officer will claim that the punches were reasonable and required to subdue the woman, and the woman is going to claim that punches were excessive. The U.S. Constitution provides that everyone is presumed to be innocent and has a right to a trial by a jury of his or her peers. This woman would have the constitutional right to take her case to a trial and assert her innocence. As an experienced criminal defense attorney, I do not believe that she would have a good case. I believe that the police had reasonable suspicion to believe that the woman possessed alcohol, and the police had sufficient probable cause to arrest after the woman refused to provide identifying information and tried to walk away. The police were permitted to use physical force to subdue the woman after she made physical contact with them. Aside from those facts, it is also alleged that the woman was on probation at the time for a prior criminal offense, she had her young daughter with her during this incident, and she spit at the officers during or shortly after the arrest. While those factors do not go directly to guilt or innocence, they are things that could and would be considered by a jury. Hopefully, the woman makes a good decision to hire a reputable defense lawyer.